Carlton is a village in north Bedfordshire in England. It is part of the Carlton with Chellington parish with the adjacent village of Chellington. The River Great Ouse runs just to the north of the village. Nearby places are Harrold, Pavenham, Turvey, Lavendon and Odell. 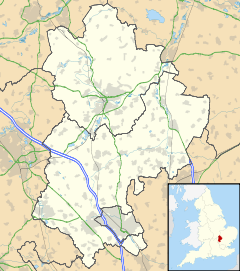 Carlton was recorded in the Domesday Book of 1086 as a parish within the Hundred of Willey. It was for some time spelt Carleton. In 1934, the separate parishes of Carlton and Chellington merged to become one the parish named Carlton with Chellington. The village has historically been laid out in a rectangular road pattern, the main parts of the village being around the roads of Bridgend and the High Street, with The Moor and The Causeway making up the rectangle's other sides. During the twentieth century the areas in between were filled out with housing along the roads of Rectory Close, Carriers Way, Street Close, and Beeby Way. Carlton Park is located in Rectory Close and features three swings, a small basketball court, a football pitch and a 1.5 meter slide. It also features one of the main landmarks of Carlton, its giant oak tree. 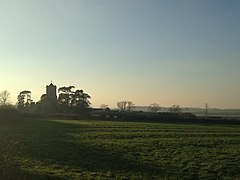 Carlton's church is Saint Mary the Virgin, dating from 950AD with a font from c. 1150 is sited outside the current village. Carlton has two pubs, The Royal Oak and The Fox. There is a Post Office and village shop located on Carlton's busiest through road, Bridgend. There is also one school, Carlton C of E primary school. and village hall which is also used as the school's assembly and sports hall. The village has an Emmaus community which includes a busy cafe / restaurant, furniture repair workshop and secondhand shop with furniture, books, china, clothes and bric-a-brac. The village was struck by an F1/T2 tornado on 23 November 1981, as part of the record-breaking nationwide tornado outbreak on that day. Wikimedia Commons has media related to Carlton, Bedfordshire. ^ Cross, Anthony R. (2017). Useful Learning: Neglected Means of Grace in the Reception of the Evangelical Revival among English Particular Baptists. Wipf and Stock Publishers. p. 471. ISBN 9781498202558. Retrieved 18 June 2017. ^ Stephen, Sir Leslie; Lee, Sir Sidney (1908). Dictionary of national biography. Smith, Elder & Co. p. 58. Retrieved 18 June 2017. This page was last edited on 8 January 2019, at 22:28 (UTC).